/ What are Elderly Bedsores? Elderly patients who have mobility challenges, and particularly those who are bedridden, may experience bedsores, also known as pressure ulcers. Here we’ll take a look at what they are, their causes, and how to treat them. Bedsores, or pressure ulcers, are sores resulting from prolonged pressure on the skin. They most often form on the skin covering the tailbone, ankles, hips, and heels. The elderly experience bedsores more often than any other demographic. They’re often confined to their bed for prolonged periods of time, causing bedsores to form. 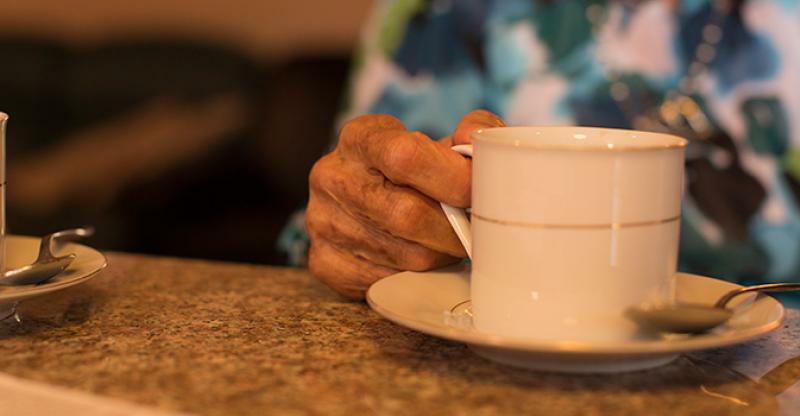 This is a problem that commonly occurs in the later stages of Alzheimer’s disease or dementia, when patients typically become unable to ambulate independently, or at all. As a matter of fact, anyone who spends a lot of time in one position is at risk for bed sores. When caring for a loved one who is at risk of developing bedsores, it’s important for primary caregivers to know what causes bedsores and take steps to prevent them, as well as to recognize the signs and symptoms of bedsores so you can take immediate action and begin treatment. To better understand bedsores, let’s look at their specific causes and risk factors. Pressure. When prolonged, interrupted pressure is placed on the skin, it limits blood flow to that area. Without proper blood flow, the skin and nearby tissue are starved of nutrients, resulting in skin death. This most often occurs in areas that aren’t covered with as much muscle or fat. When the skin rubs against a bed, a piece of furniture, or clothing, it can become more prone to injury. This is a more common cause in the elderly who have more fragile skin. When two surfaces move in the opposite direction, shear occurs. If you were to pull your bottom across a seat to get to the edge, the tailbone would move across while the skin is pulled in the opposite direction. This is shear, and it can cause bedsores. Bedsores can form quickly. After just a week of prolonged exposure, they can begin to pop up. If the area is left in contact with the bed, they can become more severe. They appear most often on bony areas of the body that aren’t protected by fat or muscle, including the tailbone, shoulder blades, and skin behind the knees. If not treated, elderly bedsores can have some serious results. If you don’t give your bedsores time to heal they could turn into a form of carcinoma. In very rare cases, bedsores could lead to sepsis, a life-threatening complication. A skin infection that causes redness and swelling of the area. Bone and Joint Infection. Bedsores often become infected. When this happens, and if it’s not treated fast enough, it can spread to the joints and bones. Bone infections can reduce the function of joints, while joint infections can cause long-term damage to tissue and cartilage. Use a pressure-relieving mattress. There are mattresses designed to relieve pressure and prevent bedsores from ever forming. Some even alternate pressure in the mattress automatically, so minimal effort is required on your part. These mattresses are well worth the investment. Shift your weight. If your pressure sores are caused by wheelchair use, frequently shifting your weight can help. This also works with beds – just change the side you’re laying on if possible. Lift yourself. If you’re able, lift yourself out of your wheelchair to relieve the pressure. Protect your skin. It’s important to do everything in your power to protect your skin from friction and pressure. Ensure bedding is smoothed out and there are no objects between you and the mattress or seat. Keep your skin moisturized and consider using talcum powder to reduce friction. Keep skin clean and dry. Regularly cleanse the skin and dry it afterward to reduce exposure to moisture and waste. 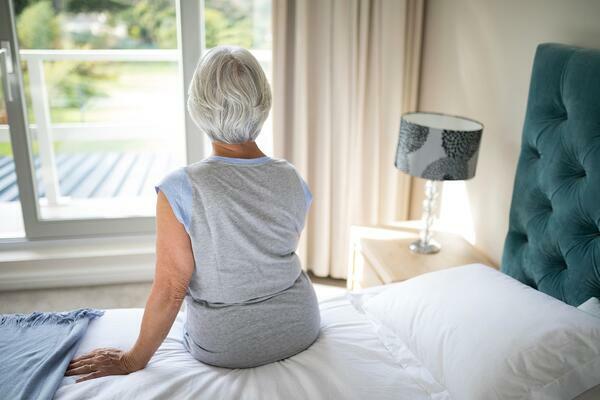 Of course, if your loved one is still able to ambulate, either with or without assistance, the best way to prevent elderly bedsores is to encourage them to remain as active as possible. Home modifications are often helpful if your loved one tends to stay in bed out of fear of tripping or falling. And if your loved one has Alzheimer’s disease or dementia, keeping them engaged in stimulating activities is beneficial not just for cognitive health, but for physical well-being as well. Reduce the pressure. Find out what caused the bedsore and remedy it by repositioning or using pressure-relieving surfaces. Clean the dress the wound. If the skin is not broken, gently wash the skin. If it’s an open sore, it needs to be washed with a saline solution. Afterward, put on a bandage. Remove damaged tissue. To heal, the skin needs to be free of dead or infected skin. This can be done by flushing the wound or cutting the dead tissue off. Get assistance from a professional at this point. For more serious bedsores, surgery may be required. However, it’s only required in the most serious of cases. The above tips are usually effective treatment methods.